Boerne Pool Supplies have proudly served countless clients since 2004 with premier pool services that include pool cleaning, pool repairs & upgrades. 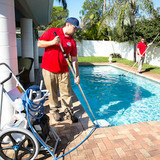 Our pool professionals are CPO/CPI certified and licensed. 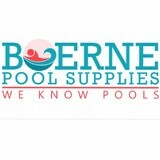 We also provide all pool & spa essentials in our store in Boerne Tx. Pool Scouts of Austin is your go-to source for a perfectly clean pool. Our highly trained pool service experts are dedicated to maintaining crystal clear water and healthy swimming conditions so your pool is a happy place for you and your family to enjoy anytime. With Pool Scouts maintaining your pool, you can stop stressing about managing chemical balances and start slathering on the sunscreen. Our state of the art technology and best in class customer service offers a new level of professionalism and service in the industry. When we say Perfect Pools, Scout’s Honor, we mean it - 100% satisfaction guaranteed. Custom pool & spa builder located in Liberty Hill, TX. Our Mission is to build your vision of a backyard paradise and to fully guarantee its quality, ensuring lasting enjoyment and satisfaction. Our company is in business to protect your investment in your Austin swimming pool by providing the highest quality swimming pool service at a competitive rate. Austin Neighborhood Pool Service is a family owned and operated business with decades of pool service experience in maintaining pools through all tough Texas seasons. 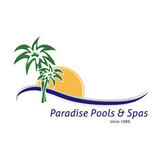 Our passion is to give all pool owners a delightful pool setting free from stress and maintenance headaches. We understand how important it is to focus heavily on quality of service. Our pool service technicians are comprehensively experienced in their practice, they don't believe in cutting corners, and will give you honest assessments of your swimming pool's condition. Volente Pool Service has been in business since 1998. Professional Pool Cleaning Service & Pool Repair at a price you can afford. No Hassles, No Worries. We make it easy. We are the best pool organization in all Volente areas for a long time running. So don’t waste your time give us a call and visit our website for more information. Lago Vista Pool Service has been in business since 1998. Professional Pool Cleaning Service & Pool Repair at a price you can afford. No Hassles, No Worries. We make it easy. We are the best pool organization in all Lago Vista areas for a long time running. So don’t waste your time give us a call and visit our website for more information. "Address displayed is a dispatch point address"
Cedar Park Pool Service has been in business since 1998. Professional Pool Cleaning Service & Pool Repair at a price you can afford. No Hassles, No Worries. We make it easy. We are the best pool organization in all Cedar Park areas for a long time running. So don’t waste your time give us a call and visit our website for more information. "Address displayed is a dispatch point address"
Specialties: Pool Cleaning, Pool Maintenance, Pool Repair, Pool Remodeling Leander Pool Service is your source for Backyard Happiness and our group can deal with all parts of a home pool proprietorship including cleaning, repairs, upkeep, redesigns and remodels. We are the best pool organization in Leander for a long time running. "Address displayed is a dispatch point address"
Hudson Bend Pool Service has been in business since 1998. Professional Pool Cleaning Service & Pool Repair at a price you can afford. No Hassles, No Worries. We make it easy. We are the best pool organization in all Hudson Bend areas for a long time running. So don’t waste your time give us a call and visit our website for more information. "Address displayed is a dispatch point address"
Brushy Creek Pool Service has been in business since 1998. Professional Pool Cleaning Service & Pool Repair at a price you can afford. No Hassles, No Worries. We make it easy. We are the best pool organization in all Brushy Creek areas for a long time running. So don’t waste your time give us a call and visit our website for more information. "Address displayed is a dispatch point address"
Jollyville Pool Service has been in business since 1998. Professional Pool Cleaning Service & Pool Repair at a price you can afford. No Hassles, No Worries. We make it easy. We are the best pool organization in all Jollyville areas for a long time running. So don’t waste your time give us a call and visit our website for more information. "Address displayed is a dispatch point address"
Bee Cave Pool Service has been in business since 1998. Professional Pool Cleaning Service & Pool Repair at a price you can afford. No Hassles, No Worries. We make it easy. 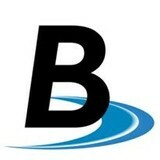 We are the best pool organization in all Bee Cave areas for a long time running. So don’t waste your time give us a call and visit our website for more information. "Address displayed is a dispatch point address"
Great Hills Pool Service has been in business since 1998. Professional Pool Cleaning Service & Pool Repair at a price you can afford. No Hassles, No Worries. We make it easy. We are the best pool organization in all Great Hills areas for a long time running. So don’t waste your time give us a call and visit our website for more information. "Address displayed is a dispatch point address"
Farwest Pool Service has been in business since 1998. Professional Pool Cleaning Service & Pool Repair at a price you can afford. No Hassles, No Worries. We make it easy. We are the best pool organization in all Farwest areas for a long time running. So don’t waste your time give us a call and visit our website for more information. "Address displayed is a dispatch point address"
Lake Austin Pool Service has been in business since 1998. Professional Pool Cleaning Service & Pool Repair at a price you can afford. No Hassles, No Worries. We make it easy. We are the best pool organization in all Lake Austin areas for a long time running. So don’t waste your time give us a call and visit our website for more information. "Address displayed is a dispatch point address"
What should I look for when hiring a pool cleaning service in Jonestown, TX? Pools and hot tubs are big investments, so you’ll want to make sure to protect them by hiring an expert who cares about them just as much as you do. Check that the Jonestown swimming pool maintenance service you are interested in actually specializes in the type of pool you have — chlorine and salt water pools have very different needs, and in-ground versus above-ground pools will require different upkeep and repair methods. Also, know who will be doing the repair or service; if it’s one of the larger swimming pool services in Jonestown, TX, request that you get same person every time, otherwise you could get inconsistency in treatments. Good Jonestown pool professionals will keep a consistent schedule and log everything they do so that it can be referenced in the event that you switch companies or something does go wrong. Like any other professional, look for local pool cleaning companies near you with plenty of good reviews and relevant experience. Find a Jonestown, TX swimming pool repair and maintenance specialist on Houzz. Narrow your search in the Professionals section of the website to spa and pool maintenance companies in Jonestown, TX and read reviews and ratings for pros in your area.